Calling incessantly is the waterfowler’s No. 1 sin. 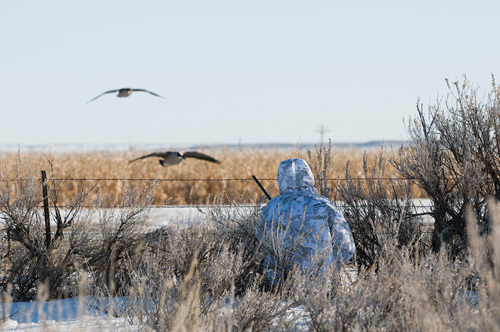 While some situations absolutely demand aggressive calling — for instance, on public land where you’re competing with lots of hunters for the same flocks — your calls will be most effective the less you have to use them.Why? First, birds rarely chatter constantly when they’re on the ground or water. And when they do, they’re usually not honking or quacking for all they’re worth. 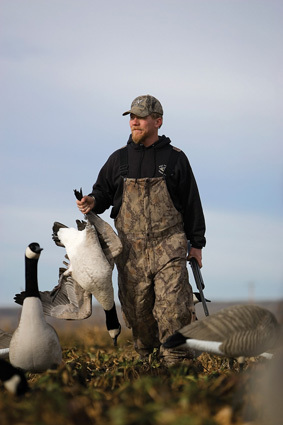 Second, if you call aggressively the whole time a flock is working your decoys and the flock starts to break off, you’ve got nothing in reserve to excite the birds into returning. It’s best if the birds don’t circle at all, locking up and coming straight in instead. 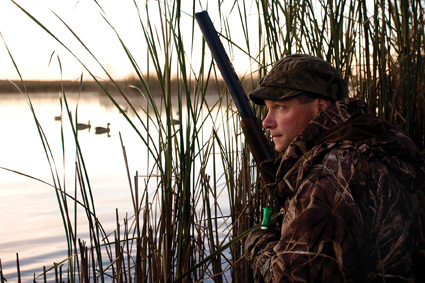 Circling enables waterfowl to pinpoint flaws, to see the decoys aren’t moving or you aren’t hidden as well as you should be. How can you reduce the chances of this happening? By letting them slide.Let’s say you’ve turned a crosswind flock and it’s heading right at you. Keep calling and it will likely end up straight overhead but out of range, perfect for picking apart your spread. Instead, lay off your call and let the flock drift downwind of you — the stronger the wind, the farther downwind the birds need to be. There’s a fine line between calling enough not to lose them, and calling too much so that they fly straight to you. 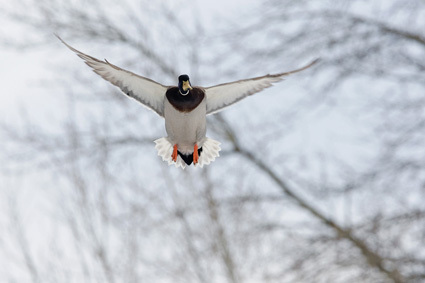 When you’ve judged them to be far enough to where they can turn into the wind and lose enough altitude to land on their first approach, then start calling in earnest.When waterfowl are approaching from downwind, you have to judge their rate of descent and decide if more or less calling is needed. If they’re coming on strong, keep calling to a minimum. 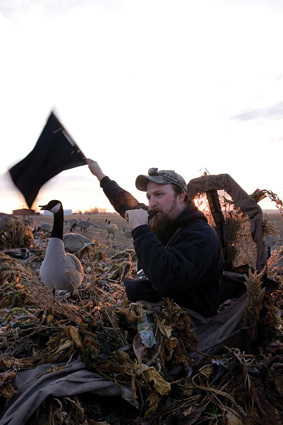 If they aren’t dropping fast enough, try calling more excitedly to bring them down sooner.Knowing how to work waterfowl is what makes calling so much fun. It’s also what separates good callers from mediocre ones. Remember these tips and your success will soar.